It was the first Vertigo series I ever collected from issue one, and even now it has closed I still find myself wishing 100 Bullets had a few more issues in the chamber. 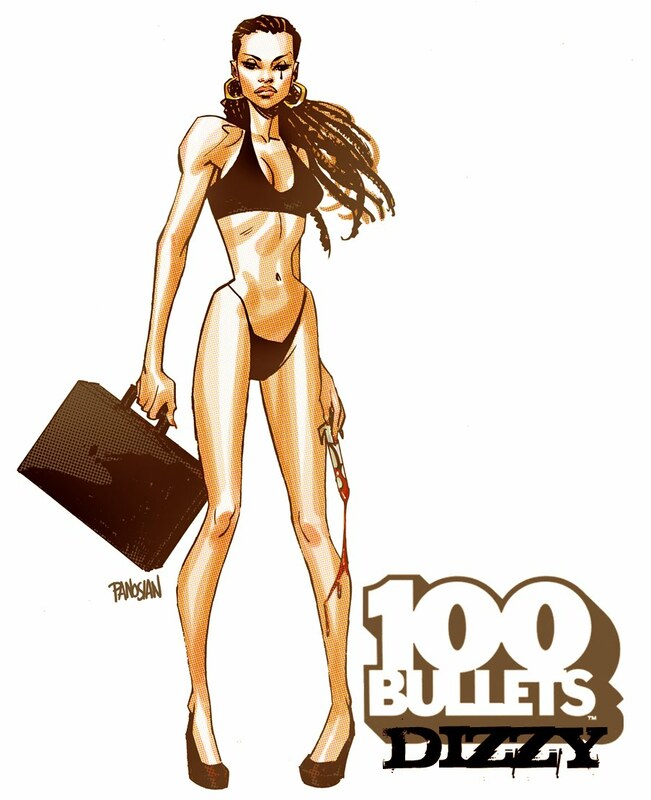 Written by Brian Azzarello, drawn by Eduardo Risso and covered by the without peer Dave Johnson, 100 Bullets kicked off with Agent Grimes asking random folk if you had one untraceable gun and 100 untraceable bullets would you use it? If you could get away with murder, would you? While the series grew way beyond just that ethical question, it's great to see the folks over at ComicTWART pick the series lead female, Isabelle "Dizzy" Cordova, as their subject of the week. If you like Dan Panosian's take below, be sure to jump ship and check out ComicTWART daily the next few days to see what else pops up. And maybe even ask Santa for a few 100 Bullets trade collections before he hauls the sleigh down the drive! i've read some of these 100 bullets stories before and yes i would use that gun if i had the chance. but given that cover art i would need that gun to fire off any "bullets". Thanks for the great comments David! I love Dave Johnson's covers. Stick him on any book and I'm there.